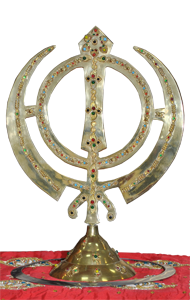 The Mission of the Sikh Temple Academy is to provide education to the children related to the Punjabi language, and spiritual, moral, and cultural traditions of the Sikh religion. The educational curriculum will enable the students to read, write and speak Punjabi. In addition, the Sikh Temple Academy will teach them the Sikh religion, its ethics, history and way of life. The classes are held every Sunday from 10:30 am to 12:30 noon. All contents copyright © Sikh Temple of North Texas. All rights reserved.